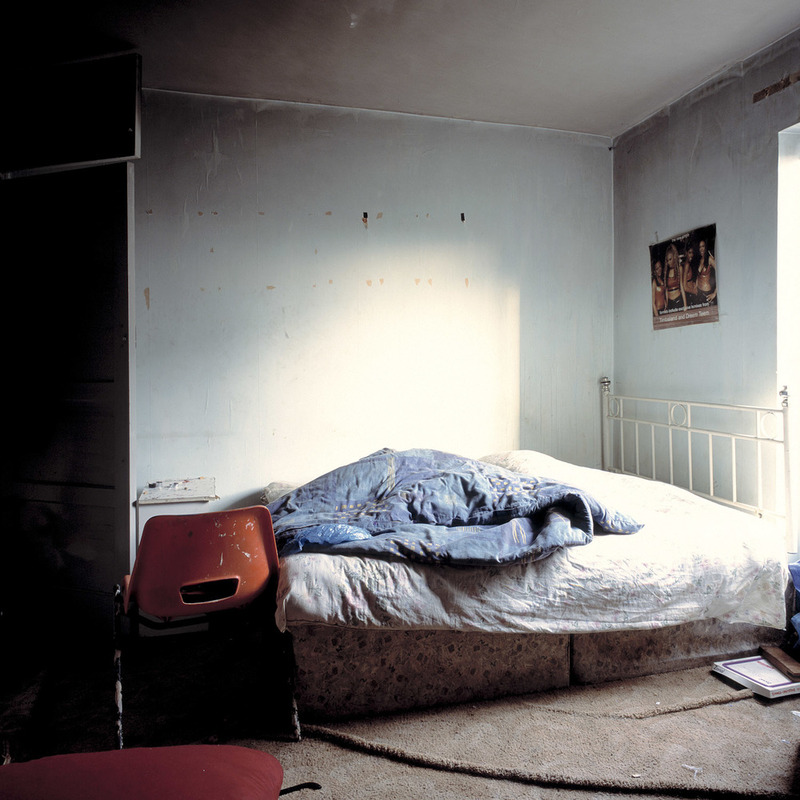 These images are the result of spending three weeks with the Metropolitan Police photographing daily raids on crack houses in East London. The aim of the raids was to shut down 'dealerships' in council and housing association properties which, because of the comings and goings, were a blight on the other residents quality of life. A lot of images of doors being forced and people being arrested, I was given a free reign to photograph what I wanted. It struck me that some of these kids had been swept in to a world of little option, there were no individuals but a homogenous set of typecast characters trying to make a living at the bottom of our social system, hopeless beyond hope. I was amazed at how my Sergeants team treated them with humanity, they had all seen the despair many times before and unlike journalists they had no need for sensationalism. At the time my portraits were being syndicated by The Camera Press so I showed them the images. Along with other picture editors they were interested in guys in black with balaclavas smashing down doors, guys with shields forcing people to the floor, people in handcuffs face down, and a whole host of 'action' images that certainly did not represent what was really going on. 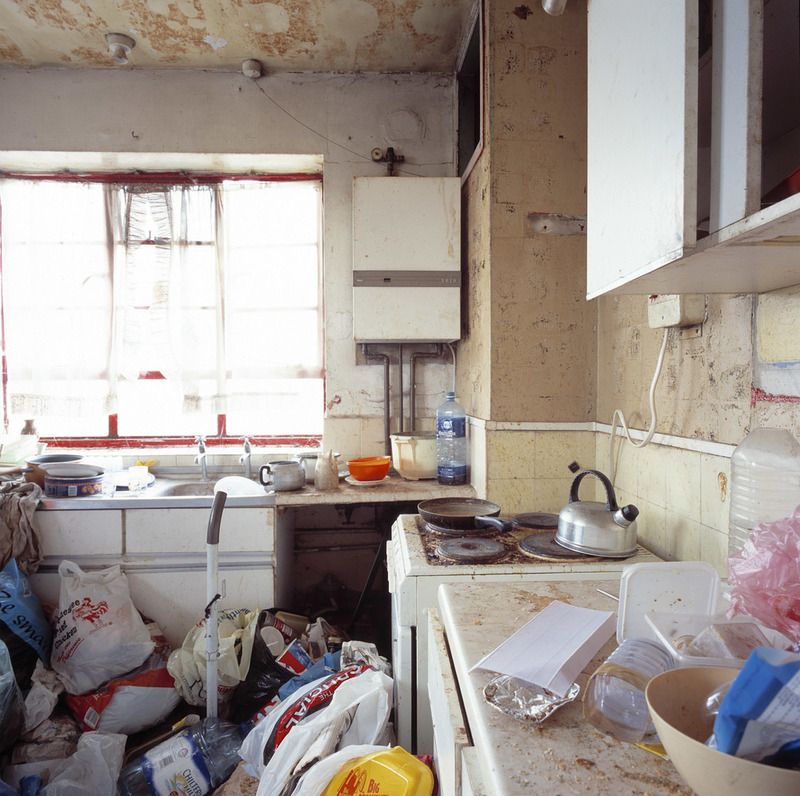 I photographed each property after the arrest but before they were searched, showing these flats essentially as found. I withdrew the action pictures and made available only the still, haunting interiors. This is how people were actually living, not blinged up dealers making a killing from the unfortunate masses, but masses of unfortunate kids on a downhill spiral in to some kind of abyss, totally unsupported by any kind of social services or the state system. An anonymous people. Strangely the only publication to run these images was the housing and homelessness charity Shelters own magazine, they were deemed not newsworthy enough by other publications.